Dr. Underland was born in Texas, and went to college at Houston Baptist University. She subsequently obtained her medical degree at UNTHSC-TCOM. She did residency in Pediatrics at Scott and White and completed a fellowship in Pediatric Endocrinology at Montefiore in 2016. 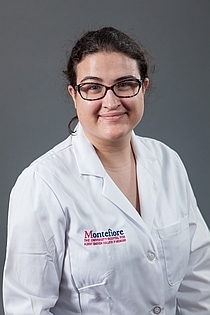 In order to continue to care for patients in the Bronx, NY and diabetes research she took a faculty position at Montefiore in the division of Pediatric Endocrinology and Diabetes.